I had the same idea as a lot of people Saturday afternoon. Seeing that Logsdon had pulled out of the Cheers to Belgian Beers festival, I headed over to Belmont Station to partake of some Logsdon beers. There was a good crowd of people hanging out there. And some good beers. If you don't know the details of why Logsdon pulled out of the Cheers fest, the story is covered well here. 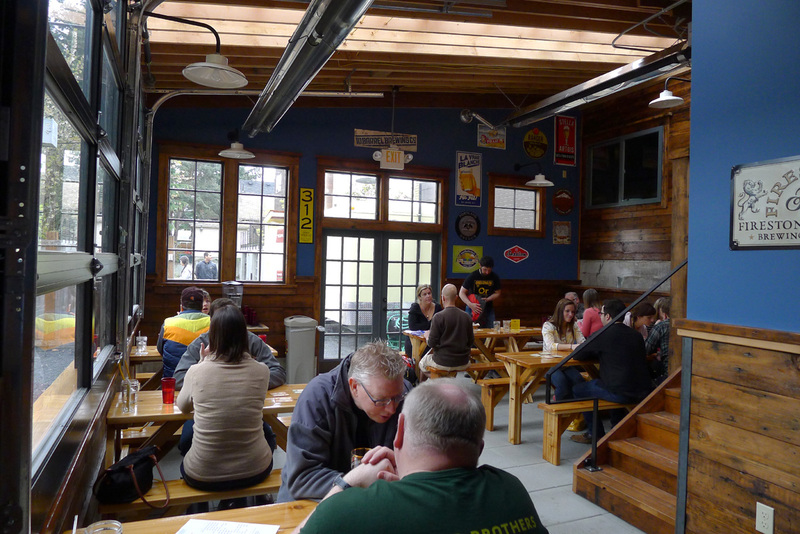 The short version is the festival, which was taken over by the Oregon Brewers Guild this year, altered several of the prior guidelines. Logsdon didn't like it, so they chose to take their beer elsewhere. Follow the link if you need more detail. Many people were going for tasting flights when I arrived. The Flight of the Day included four Logsdon beers, but not the one I wanted...the Peche 'n Brett. So I ordered a glass of it and started sipping. Good stuff. Mildly tart with a great flavor. A number of people seated around the bar and at tables had bottles of Peche 'n Brett in front of them. In some cases, the bottles were cradled. The supply was limited and I have no idea how many they sold. However, I do know they sold out early on. The trip to Belmont Station gave me a chance to look over their new biergarten patio, which has been in the works for over a year, I believe. They had to deal with a lot of city red tape as part of the process. Oh well, the area is opening just in time for the coming summer months. 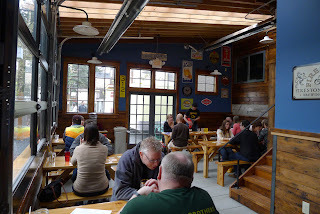 You'll see the passageway to the patio as you walk toward the back of the Bier Cafe and past the restroom. From the top of the stairs you can look down on the area. Skylights help keep it bright by day. It was just cool enough on Saturday that the ceiling-mounted space heaters were pumping out some light heat. The glass garage doors along the south wall were closed, but they'll be open when warm weather arrives. This is basically an open patio by summer, an enclosed extension of the bar by winter. Good combo. Food has always been kind of sparse in the Bier Cafe. To rectify that situation, there's now a food cart next to the biergarten. 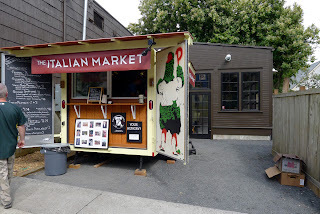 The Italian Market cart has a selection of sandwiches with an Italian flavor, as well as other snacks and quick bites. The folks at Belmont Station will christen the Rich Bobkin Memorial Biergarten on Monday night (yep, that's tonight). Bob was a longtime friend and patron who passed away two years ago. They will then have some special tappings during grand opening week. Check their website for details. For me, the new patio puts the Bier Cafe on my hit list. The tap list is always good here. Now they have a very cool outdoor area to sit and enjoy. And more food choices is a smart idea. 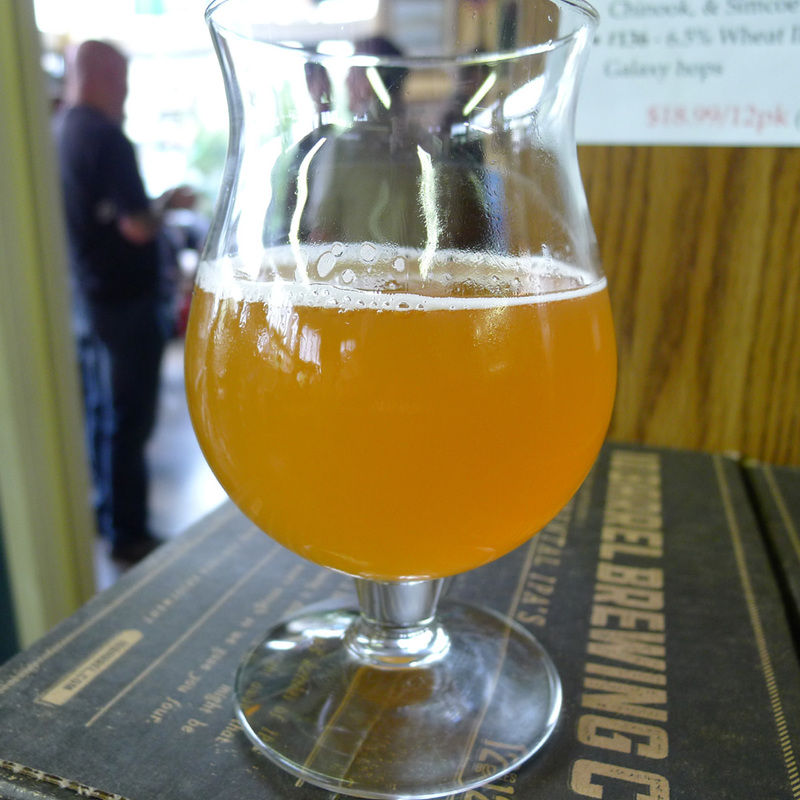 "The short version is the festival, which was taken over by the Oregon Brewers Guild this year, altered several of the prior guidelines. " PCTBB has always been run by the OBG. Nothing new there. What's amazing to me is how short people's memories are about why the guidelines were changed, and the pretense that it wasn't directly caused by Lodsgon's own actions over the past 2 years.